GOUT DIET AND GOUT SAFE FOOD- WHAT IS WRONG AND WHAT IS RIGHT? Why do low-purine Gout diets alone fail to resolve Gout? Is a healthy diet important to gout control? ABSOLUTELY! However, focusing solely on purines can lead to trouble. Only 30% of uric acid production stems directly from the purines in foods. The other 70% is manufactured from the dying cells in our body. Cells die at a much higher rate in the presence of unhealthy and unbalanced diets, stress, medications, environmental toxins, weight problems, and our overall lifestyle. We cannot fully control all of the toxins and acids in our environment that contribute to our cellular degeneration. Perfect diets can be quite challenging, if not impossible. We MUST approach gout healing and continued gout control with a fully comprehensive plan including diet, lifestyle, vitamins, and supplement(s) to provide the best support system possible. Purines are found in every plant and animal cells. Purines include adenine, guanine, hypoxanthine, and xanthine. Purines constitute one of the major parts of our genetic codes, DNA and RNA, and energy molecules such as ATP, GTP and coenzyme A. Purine molecules are essential to all of life. Many chronic gout sufferers are almost always bordering a high level where any one meal can push them over the edge and into an attack. The combination of both a high purine AND high acid meal can prove to be too much. This is why many people believe that a specific food is the cause of their gout attack; however, it is usually just what happens to tip that "already full cup" over and into an attack. You must bring your uric acid down to a manageable level in order to gain some flexibility in your diet. Once again, this is where vitamins and supplements are necessary to provide your body with all of the tools that are crucial to uric acid management. You must enhance the body's ability to fight this disease, and diet alone can make this a daunting task. Healthy, low purine foods should always remain a part of the balance you are aiming for. The better option would be to focus more on pH balance, as a whole. pH balanced meals and lifestyles can further your quest for healthy cell protection, thereby reducing your overall uric acid load. pH balance also aids to reduce the inflammatory response in the body that sends your organs into a frenzy and allows uric acid to be freely stored to be "dealt with" later. Acid/ Alkaline base has to be in balance. If not, our organs and bones often end up providing the alkaline buffers. This leads to chronic degenerative diseases. Remember, in order to remain healthy or improve your health, the ph of your body must be slightly alkaline. We can and must further support our needs and alkaline buffers through vitamins and supplements. We know that overeating promotes the inflammatory response and suppresses the immune system. Obesity can affect the heart, blood flow, friendly bacteria levels and nutrient assimilation appointing excess strain on these organs and their essential functions. As a result, extra uric acid production is common. Moreover, the typical diet involved in obesity cases is rarely conducive to healthy uric acid balance. Heavy, red-meat-based diets or lots of sugar-laden foods would definitely have a negative impact on immune function and promote inflammation, whereas calories in the form of fruits, vegetables, legumes, nuts and seeds would improve immunity. It is known that even an extra 20 pounds can create an abundance of inflammation in the human body and lower overall immunity. Weight management is an important aspect of maintaining a balanced immune system and controlling inflammatory conditions such as Gout. Is the Atkin's diet a problem for Gout sufferers? Are other fast weight loss methods problematic? Low fat and fat free foods are rarely recommended by us. In most cases, they aren't any "better", and can raise even more health concerns. Most of these foods are chemically altered and processed to achieve the fat removal and often replaced with even more undesirable ingredients, like sugar, to enhance their taste. Fat restrictions can go way too far and can be equally as dangerous as a diet too heavy in all the wrong fats. By and large, blood pH is the most accurate way of measuring our health and body functioning. However, this cannot be done at home and is rarely done professionally, either. Urine and saliva pH test results can be rather telling about our overall health and the capability of uric acid excretion. This type of testing can be done at home. HCFS, or High Fructose Corn Syrup, is lurking in almost every processed food imaginable. According to Dr. Hyon Choi and colleagues from Boston University, drinking high fructose syrup laden beverages increases uric acid levels in the blood, which eventually deposits into the joints where it causes gout.. While shopping, read the labels, if HFCS, fructose, or modified corn starch appears within the first five ingredients place it back on the shelf an move on. Sounds easy right? Wrong. As you make your way through the store you will begin to realize just how much of what you have been eating on a daily basis contains HFCS. Reducing HFCS will not always be easy, but the health benefits are well worth it. You will feel stronger and more vital, it will lift your mood and give you increased concentration. Limiting your intake of HFCS will not only shrink your midsection, but also do wonders for your over all health. Alcohol, generally speaking, isn't high in purines. However, alcohol is high acid and adds to uric acid problems in other critical ways. Beer may be the exception to this rule as it happens to pose a double risk with both high purine AND the high acid contributions. Alcohol increases cellular degeneration within the body and the brain. As these cells die off they release purines, which is within every cell in our system. Additionally, alcohol consumption directly affects and consumes the attention of the liver and kidneys, impeding even more uric acid excretion. Alcohol also dehydrates the blood, further producing excessive uric acid. A recent study found that one alcoholic beverage per day was enough to significantly increase the risk of gout in that person. The risk grew as number of drinks consumed increased. Am I drinking enough water and why is this important to Gout Control? Water consumption and the source for your drinking water are both very important. Unfortunately, a good portion of our society is dehydrated and isn't even aware of it, which poses major health risks. If the kidneys sense the body is becoming too dry, they begin to retain the fluid, rather than excreting it as urine. This also forces the body to hold onto excess uric acid and other toxins ordinarily excreted by the kidneys, and the damage begins. This is a vicious cycle of dehydration. Proper water intake is an essential key to blood hydration and kidney filtration in order to properly expel uric acid from the body. One should consume a pure source of water, ideal amount for their body weight and activity level, steadily throughout the day. By the time you feel thirsty, you are already dehydrated. Daily Water Needs- Divide your weight in half. This is how many ounces of water you need daily, consumed at a slow but steady pace from rise throughout the day. If you weigh 180lbs, divide by 2 = 90oz of water daily. Drinking water should come from a pure source, preferably filtered for purity and filters replaced according to manufactured suggestions.  Optimal drinking water pH is 7.0. Juices, teas, sodas and coffee DO NOT count towards your water needs! Exercise remains very important to your overall gout control. While attempting to gain control of your gout (via a program and product like ours), we would encourage you to avoid strenuous/high impact exercise and choose a milder version temporarily. Once you have gained control of your gout, an increase is exercise levels should be well tolerated. Hydration is key, as well. Aside from the normal hydration requirements, it is imperative that you also replace the water loss from sweating during and after your exercise. Joint pain usually begins over 2-4 hours and during the night. One reason for onset at night is due to a reduced body temperature which provides an ideal environment for uric acid crystallization. How does chlorine in our drinking and bathing water affect Gout? We inhale chlorine in the gaseous form, chloroform, through the steam of a shower, bath, and in a hot tub. Chlorine also seeps into our pores in these ways, as well as through swimming pools. Chlorine is found in our city tap water, and when ingested or bathed in, has a direct effect on our health. Chlorine not only destroys vital strains of friendly bacteria in our body but is a health risk in general for many other reasons. HOW CAN CHLORINE IN OUR DRINKING AND BATHING WATER ADD TO OUR GOUT SYMPTOMS? Believe it or not, we have a lot of vegan/vegetarian clients that still suffer with gout. Whether it be from an abundance of unfermented soy products or simple, but critical, food imbalances; their bodies are still having problems dealing with uric acid production. Your gout diet does NOT have to be bland and boring. It can even include red meat and fresh seafood! Our product(s) and program allow you much more freedom in your dietary selections. We teach you how to achieve balance and how making better food source and supplement choices can go a long way towards controlling your Gout. The answer to this dilemma is Gout Care® 100% All Natural Relief for the gout sufferer. Aids the body in expelling excess uric acid naturally. Eat all foods in moderation without the fear of constant gout attacks! Goutcure.com has been helping thousands of gout sufferers since 1998, who are serious about getting their health under control. GC® and Flamasil® are our signature herbal blends we are most recognized for. We have been proudly assisting people in living a pain-free life since its introduction over nine years ago. These herbal blends are absorbed throughout the body to aid in the removal of stored uric acid. 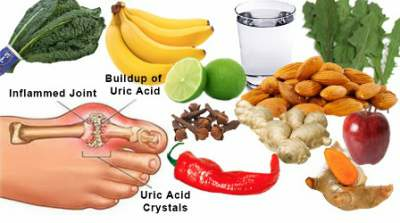 They each assist in holding the uric acid to a soluble state in order for the kidneys to remove the excess from the blood supply, avoiding the inevitable crystal formation otherwise. Flamasil® even goes a step further in addressing inflammation on a deeper level for those that suffer from more than just Gout, or have severe cases that have been uncontrolled for many years. Thess powerful herbal blends aid to enhance blood flow and blood purification, stimulate new liver cell growth, protect the liver from toxins, increase kidney filtration and excretion, increase the production of bile, and to boost the digestive and immune systems. By doing so, we are addressing all the areas involved in uric acid control and the proper use of such a potent and necessary antioxidant in the body. These herbs contain the ability to help metabolize the foods that can cause inflammation and aids to keep all uric acid production in a soluble form to prevent crystallization in the joints. Even more exciting are their safety and ease on the body's acceptance of these food-source based herbs making daily consumption not only possible but advantageous. These blends of all natural, organically grown, pharmaceutical ingredients -- including Aged Low Odor Garlic, Turmeric Powder, Artichoke Powder, Milk Thistle (Silymarin Extract), and Yucca Stalk -- make these formulas second to none. They are comprised of some of the safest, most effective and side effect-free herbs known to man and can be beneficial to all walks of life with or without Gout. For serious gout control, there is nothing that even comes close. GC® and Flamasil® are, by far, the best solutions to an extremely painful problem. 100% Guaranteed! Anti-inflammatory herb offers relief from arthritis (NaturalHealth365) This is great news for all those suffering with arthritis. Boswellia extract can help ease numerous arthritis symptoms Arthritis affects the musculoskeletal system of the body and is characterized by swollen, painful joints, stiffness, and knots in the affected area. It can be more difficult to move and engage in normal daily activities when arthritis is flaring up. The onset and progression of the disease can be affected by genetics, family history, weight issues, past injuries, infection and allergies. A cascade of positive body chemicals and reactions Boswellia's most potent medicinal properties are in the tree resin. The acids and compounds it contains promote positive body chemistry and reactions including the production of free radicals. This aids in creating the anti-inflammatory response in the body, which leads to a cascade of healing effects. A 2003 study tested Boswellia serrata extract in persons with osteoarthritis of the knee. One group received the extract, while another received a placebo for eight weeks; then the two groups reversed. (keep reading for the results) A safe, natural way to improve quality of life Those taking the Boswellia extract reported a significant reduction in pain and swelling while flexibility and comfort increased. Those taking the extract were also able to walk longer distances. Other studies of persons with osteoarthritis and rheumatoid arthritis showed that they received health benefits from Boswellia extract as well. Clearly, there are analgesic and anti-inflammatory effects of Boswellia extract. While there is no established ideal dosage, some reports indicate between 150 mg and up to 400 mg per day can be ideal depending upon current health status. Keep in mind, if you're taking other medications - you should consult a medical doctor about possible drug interactions before taking Boswellia extract for arthritis.